When you want to send out bulk text messages to your clients, you will need to make sure that you’ve received the proper authorization first. Make sure that, during your intake or checkout process, you get permission from the customer along with basic information, like their name, phone number, and email address, so that you can contact them. Make sure that you’ve assembled all of their information into a CSV file. Each point of data should have its own column so that the RepCheckup tool can pull the information properly. Navigate through the organization and location you want to work with. Select the “Messages” section from the left sidebar. Select the “Send SMS” button from the top right side of the screen. 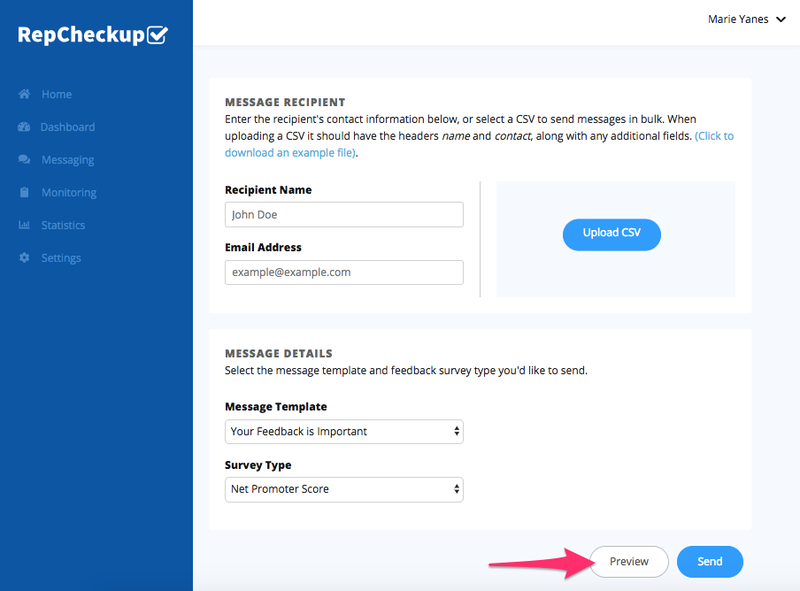 Select the “Upload CSV” option and select the customer data file you’ve created. 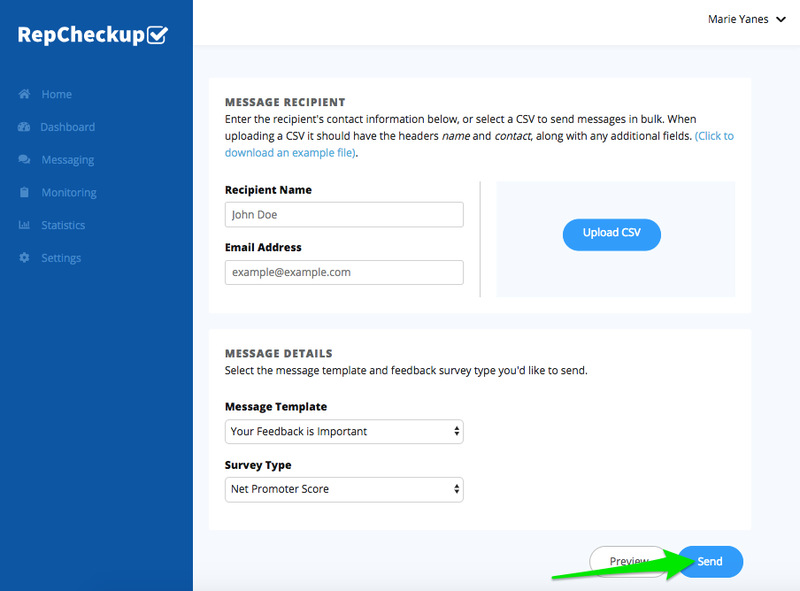 Pick the template and survey you’d like to send. 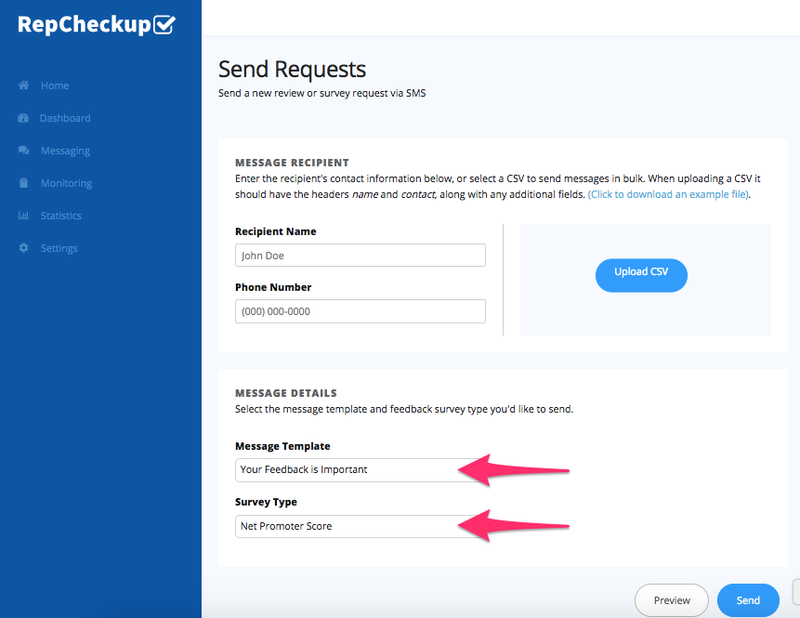 Select “Send” from the bottom of the page to send the survey and message out to the clients on your list.